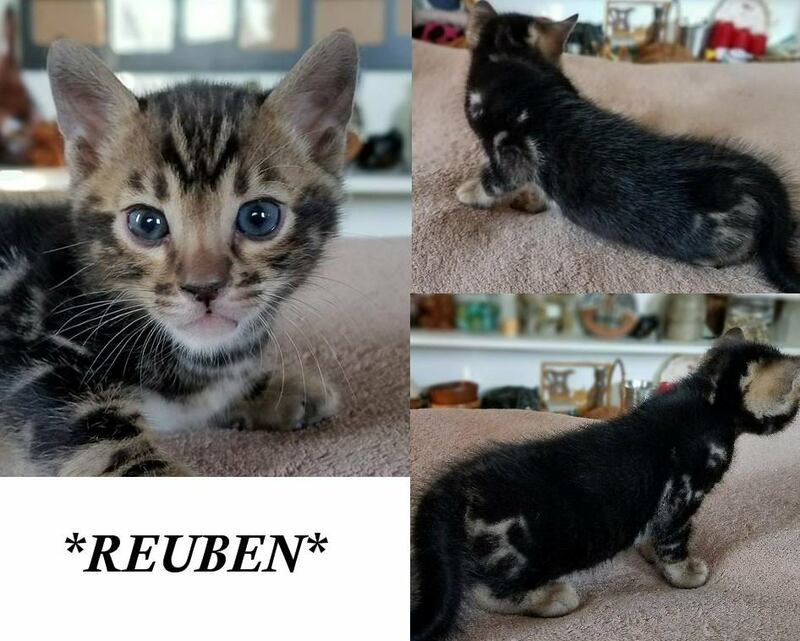 Reuben is a very rich colored brown marble Bengal with glitter. 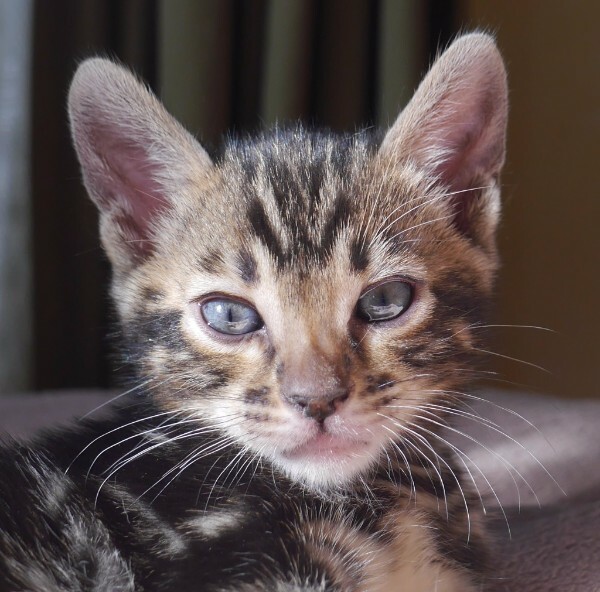 As he grows and develops we hope to see his pattern more. He is very fun to play with and loves to puff up and bounce sideways! He even tries to intimidate the dogs (I think they are silently laughing at him) Check back to watch him grow! 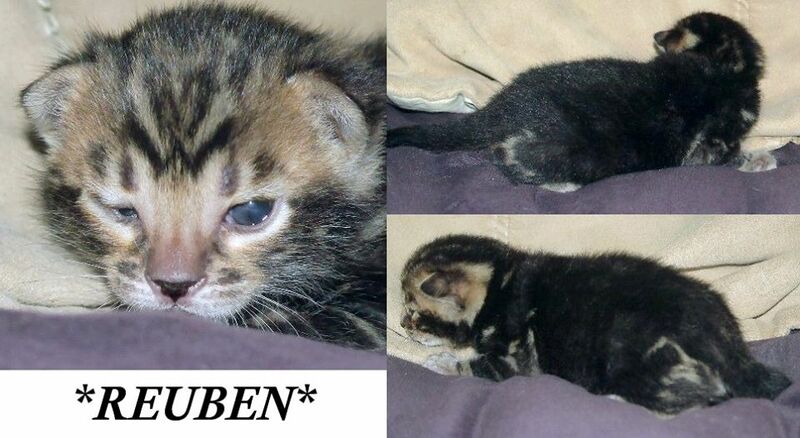 This entry was posted in Bengal Kitten Gallery and tagged Bengal kitten, brown marble, glitter, Reuben. Bookmark the permalink.